Mango Port Elizabeth to Johannesburg flight bookings qualify to earn exclusive SouthAfrica.TO travel vouchers. Email a writeup of your last flight to cheapflights@southafrica.to and we'll send you vouchers. Our readers are our writers. Still stuck? 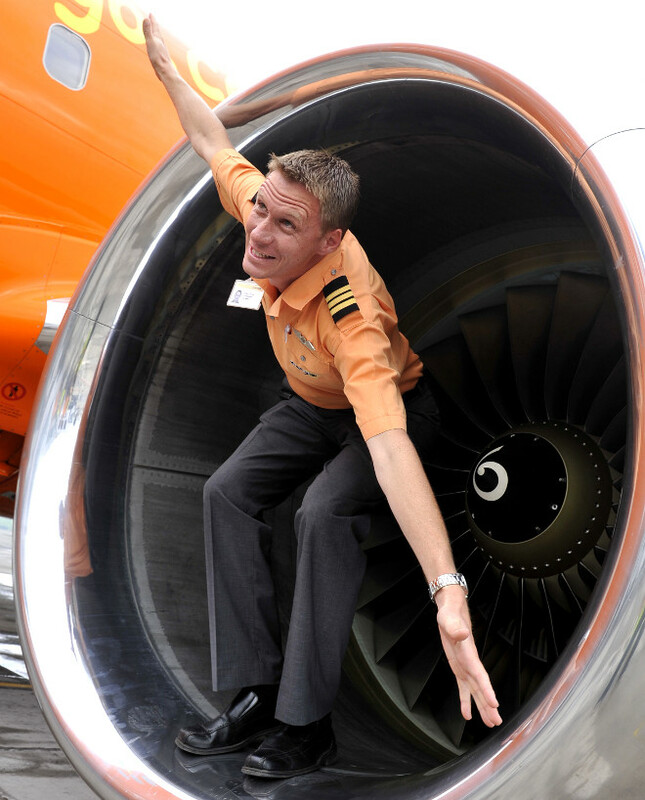 Ask for Help - we're itching to show you the best flight specials from PE to JHB. The introduction of Mango flights from Johannesburg to Port Elizabeth (PLZ-JNB) were a relief to PE travellers, as for too long after 1time Airline went into liquidation the route was without a low cost carrier; which hits the poorest flyers the hardest. And PE-JHB is a fairly busy route, so it wasn't a small number of people impacted. South Africa Travel Online even ran a Facebook campaign to try convince Mango Airlines to fly from PE - we wont say that this is the reason they chose to, but every bit helps. 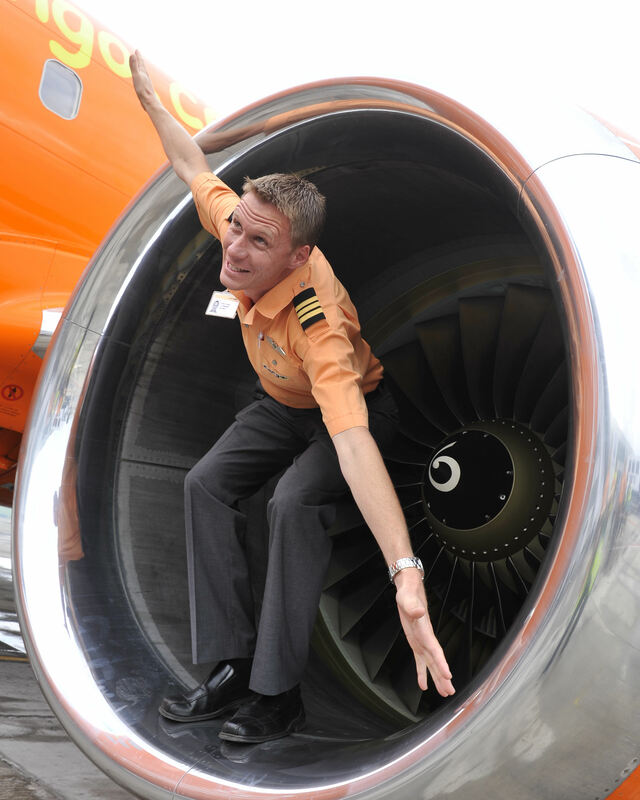 Happily, you can now fly Mango Airlines on a daily basis from PLZ to JNB (there is 1 flight a day, or 7 a week). Something to be aware of is that the flights mostly leave in the afternoon, with it only being on Wednesdays that there's a morning flight leaving PLZ (so possibly the best day for a PE businessman to travel to Johannesburg). All Mango Airlines flights from PE to Johannesburg are to OR Tambo International Airport. Whilst the airline does operate flights to Lanseria Airport, they are only from Cape Town International Airport. The only Port Elizabeth to Lanseria flights which have occurred historically, were with Kulula Airlines, who subsequently stopped them. Use the flight bookings tool on the left to contrast Mango Airlines (Code JE) airfares (against SA Express, British Airways Comair and South African Airways who also fly the route) and book the cheapest flight. There are regular Mango special offers, typically once a week on Tuesdays - so keep an eye out for those too when trying to book a cheap flight. I love getting feedback from our readers, as nobody says it better than them: "As a frequent traveller domestic and international, I must commend my fellow South Africans on the great jobs they do. I'm a South African gymnast and represent my country all over the world and I just cant wait to get back onto SA soil when ever im away. The staff at OR Tambo just know how to bring a smile to my face - always willing to help out where ever it is needed and super friendly. This is going to be a crazy year of travelling as per normal if the funding is there, as a full time gymnast it's always last minute bookings to be done and the cheapest or quickest way. 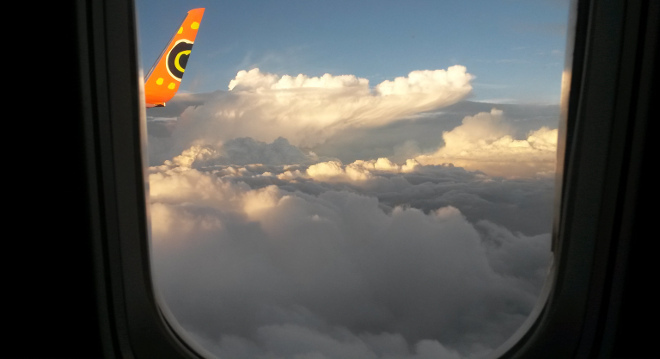 My 1st flight of the year was just two weeks ago on Mango from Port Elizabeth to Johannesburg. The staff were all so friendly and looked happy in there jobs and very helpful to my younger gymnasts. We had a smooth flight to JHB and even quicker one coming back. This year I should be travelling domestically and internationally about 9 times or more. Well done to our airports of SA for making me proud to be a South African and hopefully I can do the same in competition :)" Written by Bianca Zoonekynd on the 18th February 2014. Bianca rates her Mango flight 5/5. Mondays, Thursdays & Sundays: JE546 is scheduled to leave Port Elizabeth at 17h25 and land in OR Tambo International Airport at 08h30. Tuesdays, & Saturdays: JE542 is scheduled to leave PE at 13h25 and land in Johannesburg at 15h05. There are no Mango Port Elizabeth to Lanseria flights, all flights from PLZ are to OR Tambo International Airport. This is such a quiet route with little news, that we're thinking of renaming it history :) And quiet on the newsfront is often a good thing in the airline industry - as the incidents we know create news are not always what we want to be happening. 5 December 2012 : An early Christmas present for PE travellers, as Port Elizabeth to Johannesburg flights with Mango Airlines are launched. Check out British Airways Comair, South African Airways and SA Express flights from PE to Johannesburg. 1time airline used to fly from Port Elizabeth to Johannesburg until ran into cashflow problems, grounded its planes and stopped flying in November 2012. Kulula Airlines used to operate flights from PLZ to JHB (in fact to both Lanseria as well as OR Tambo International Airport at one stage), but in 2008 stopped the Lanseria route and in 2012 decided to switch to instead flying the blue, red and white colours of British Airways Comair. In fact 2008 was a really bad year for the flight route, as Nationwide Airlines went into bankruptcy in that year, and with that also stopped flights from Port Elizabeth to Johannesburg. Short of flying, there are also a number of overland options for travelling from PE to JHB - self drive & intercity buses.